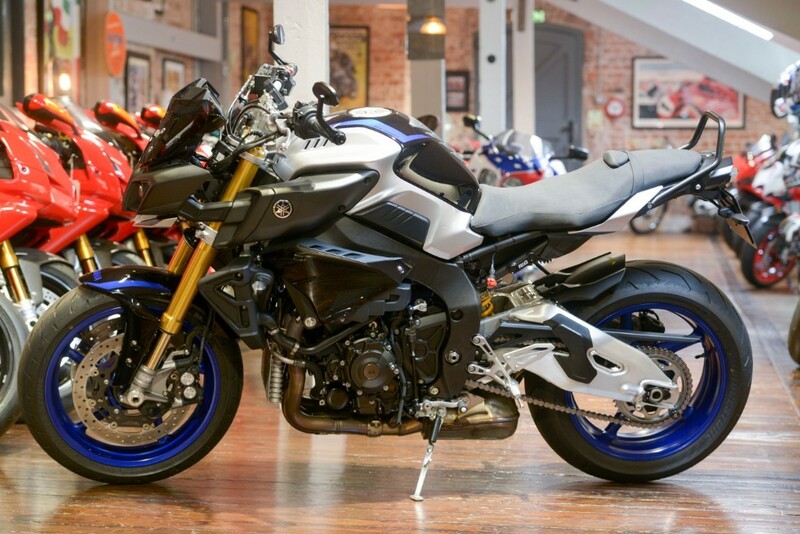 All Stock › Yamaha › This MT-10 SP MT-10 SP "Sports Production"
998cc MT-10 SP "Sports Production"
THE BIKE SPECIALISTS, TRADING STANDARD AWARD WINNERS. 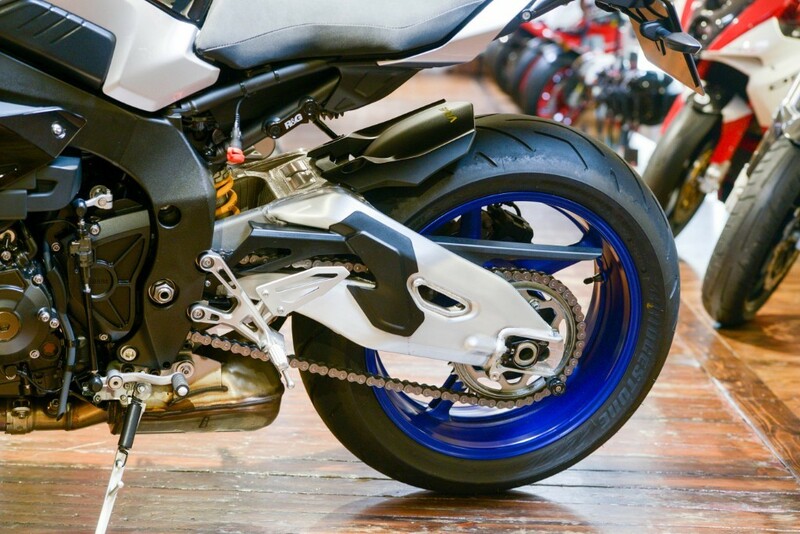 We are proud to add this beast of a motorcycle to our current selection of bikes for sale. 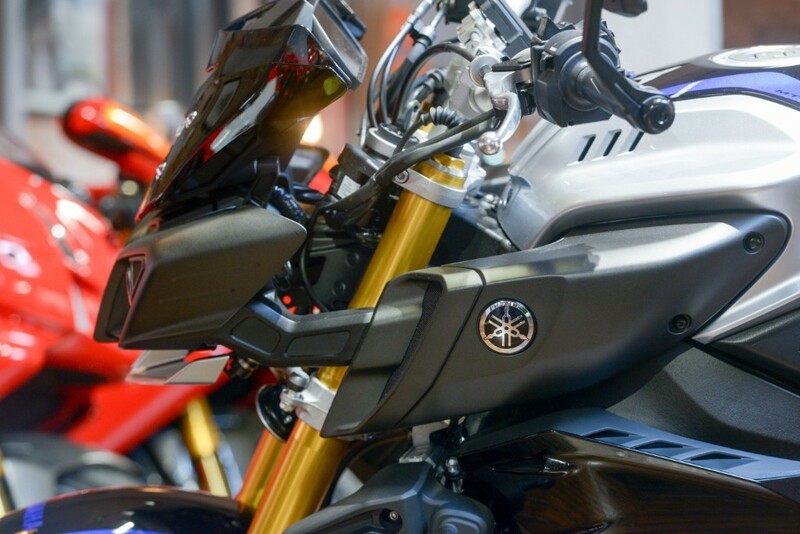 This 2018 Yamaha MT-10 SP Hyper Naked sports bike produces a maximum 160 horsepower and is one of the most striking looking naked bikes in current production. 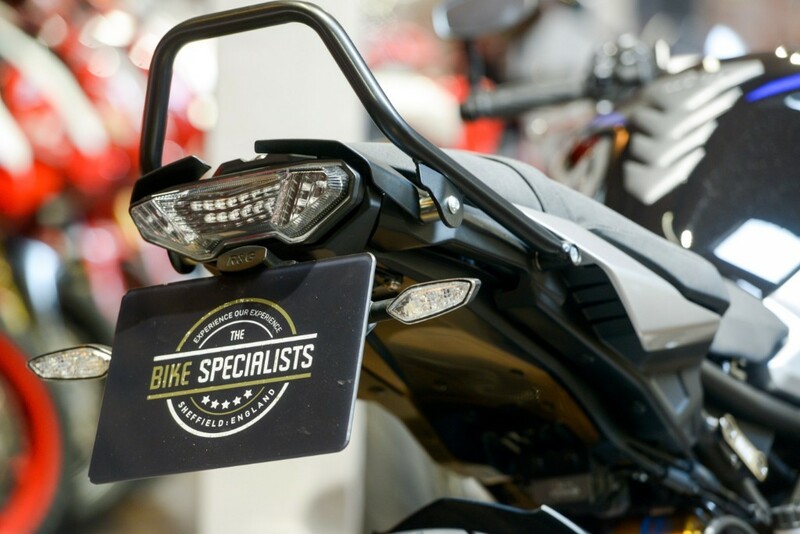 Our UK one owner example in Black Sparkle paint has covered just 1,043 miles and is supplied with the book pack, 3 keys and service history. 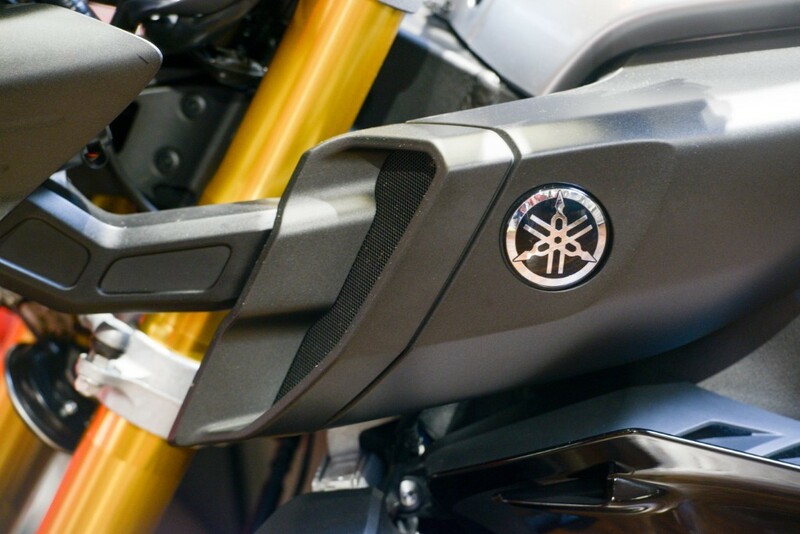 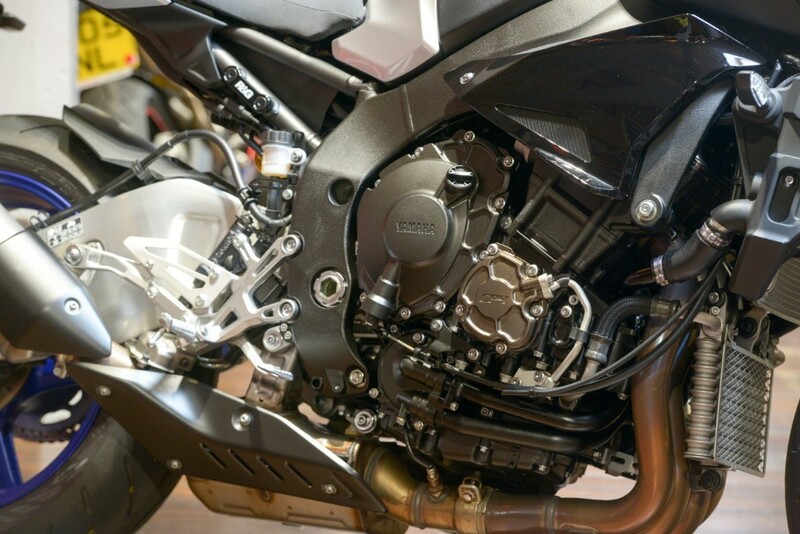 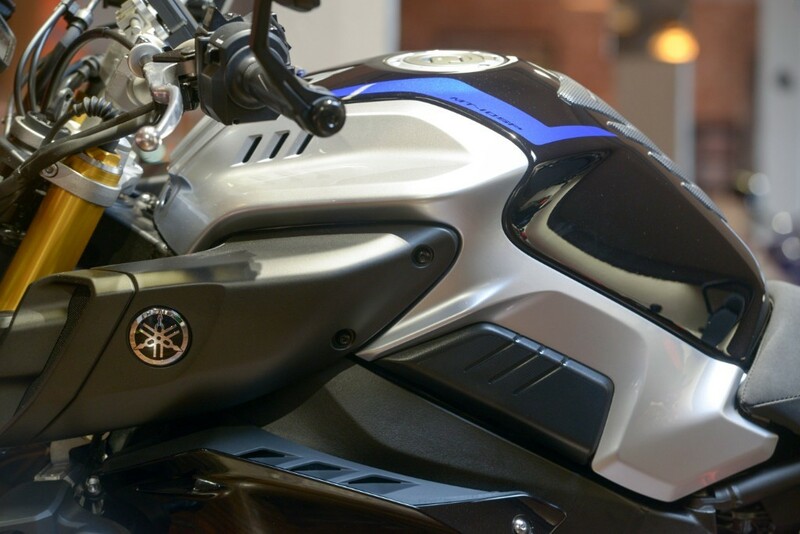 Yamaha said this of the bike "The MT-10 SP was born out of our designers' desire to create a high performance Hyper Naked motorcycle that would deliver the ultimate level of control. 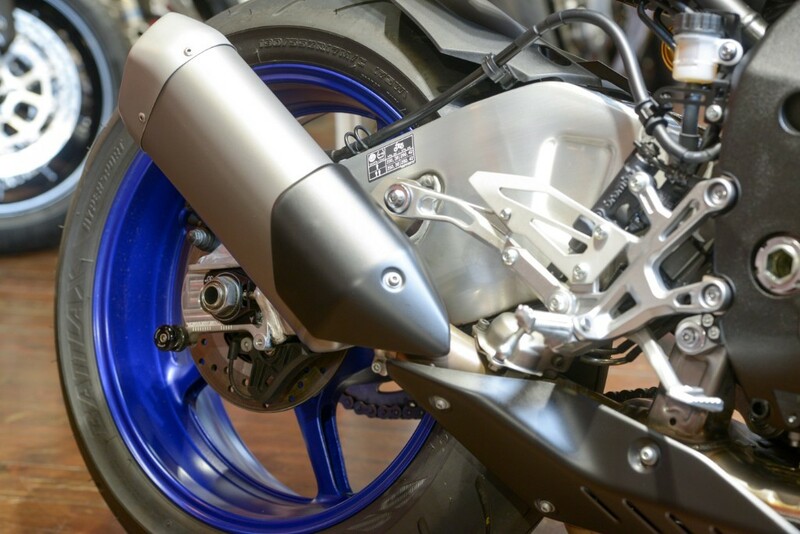 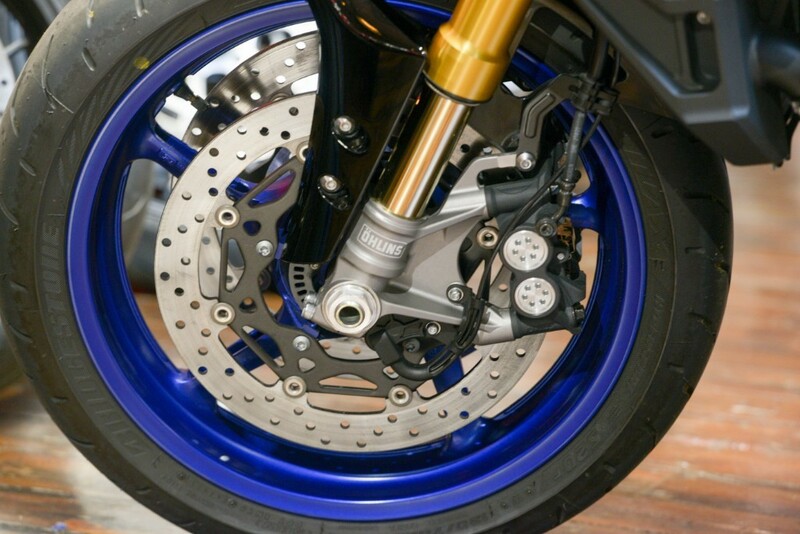 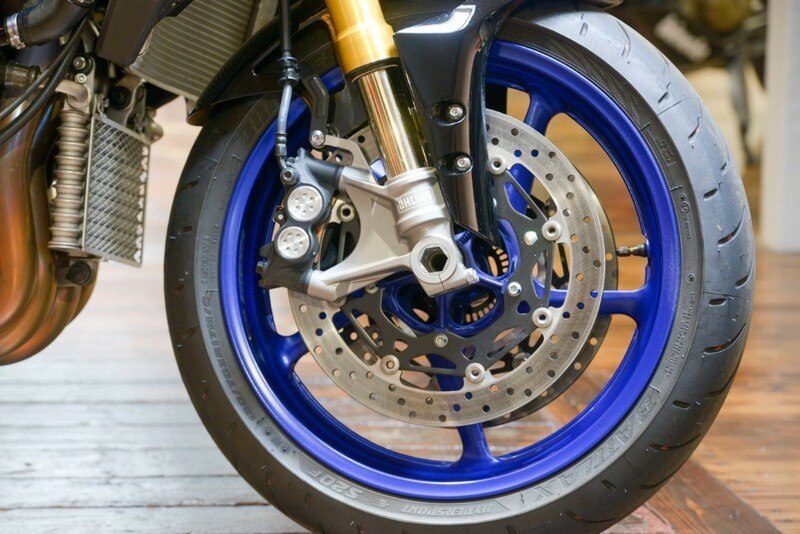 This special SP version of the MT-10 is equipped with Öhlins Electronic Racing Suspension for the highest degree of control - as well as an exclusive full colour TFT meter panel and special racing colours. 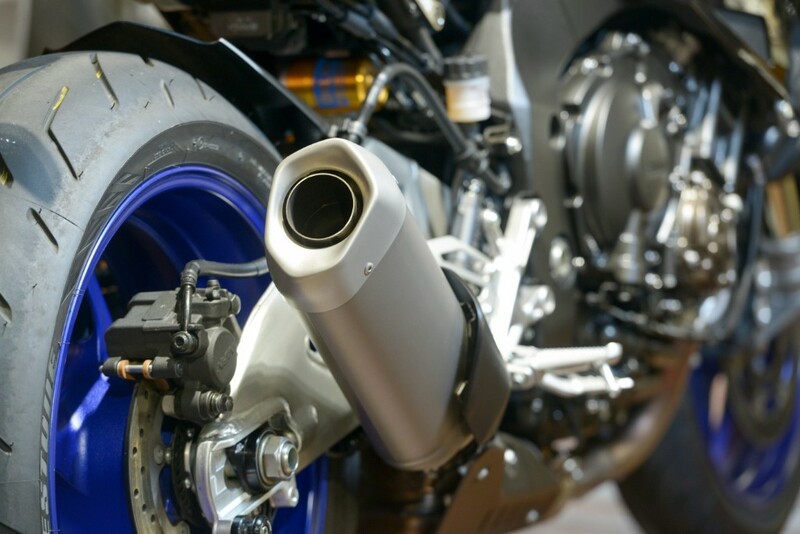 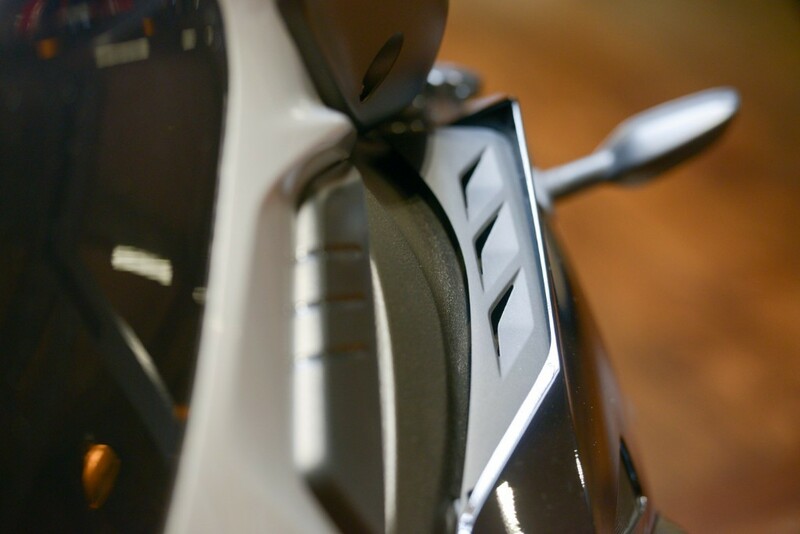 The Traction Control System, Assist & Slipper clutch and Quick Shifter System give you the technology to harness the 998cc engine's brutal power - while the hefty linear torque combined with outstanding chassis agility make this bike the definitive Hyper Naked. 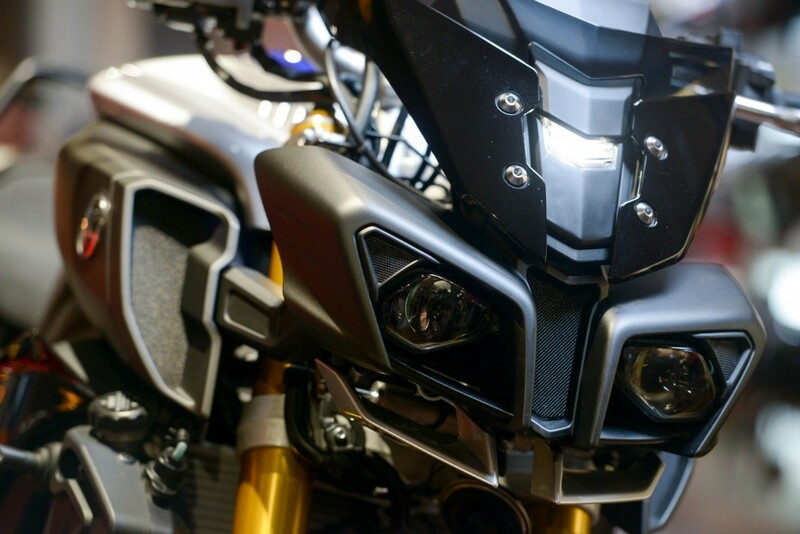 Yamaha MT-10 SP: Speed of Darkness. 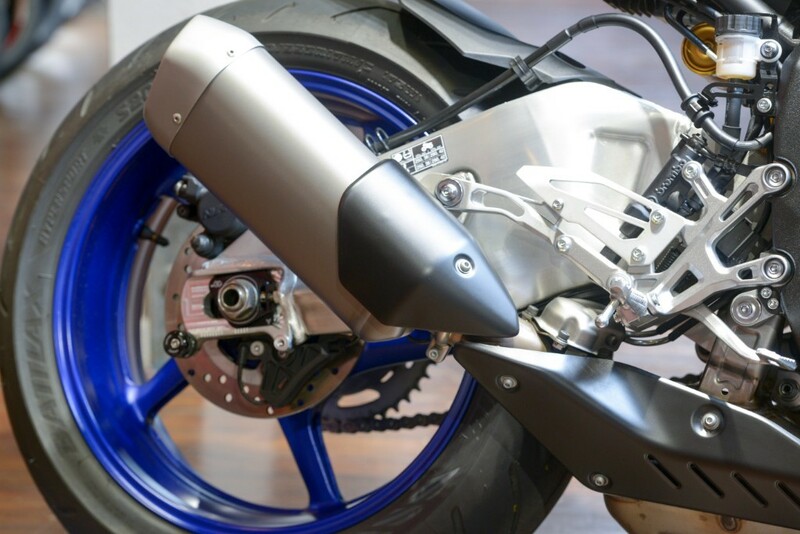 This super "Naked" bike would grace any collection and needs to be tamed on the open road. 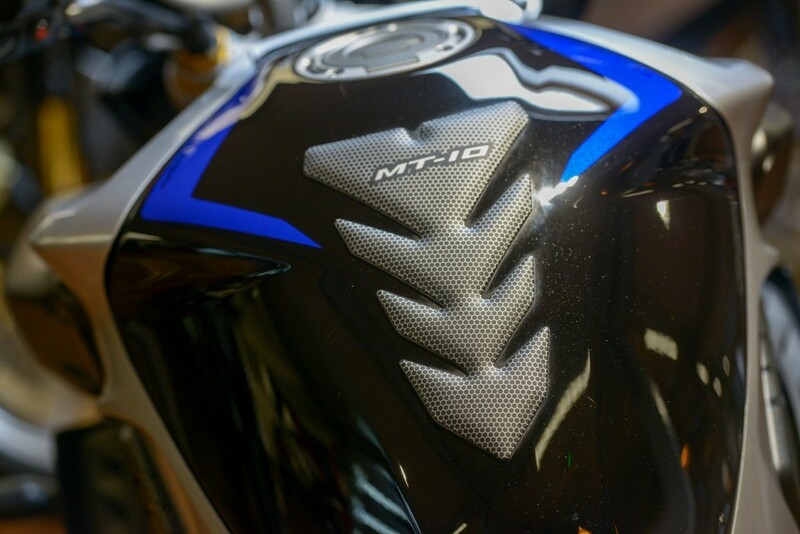 Please do not hesitate to call to book an appointment to view the MT-10 "SP". 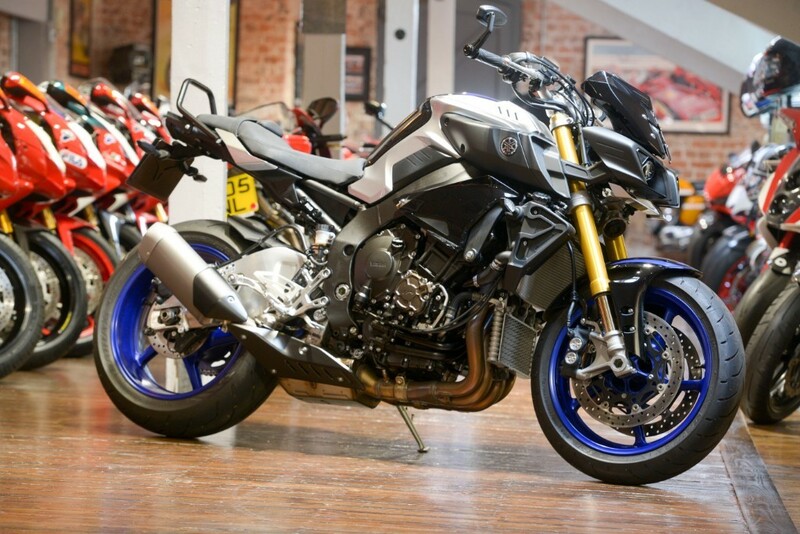 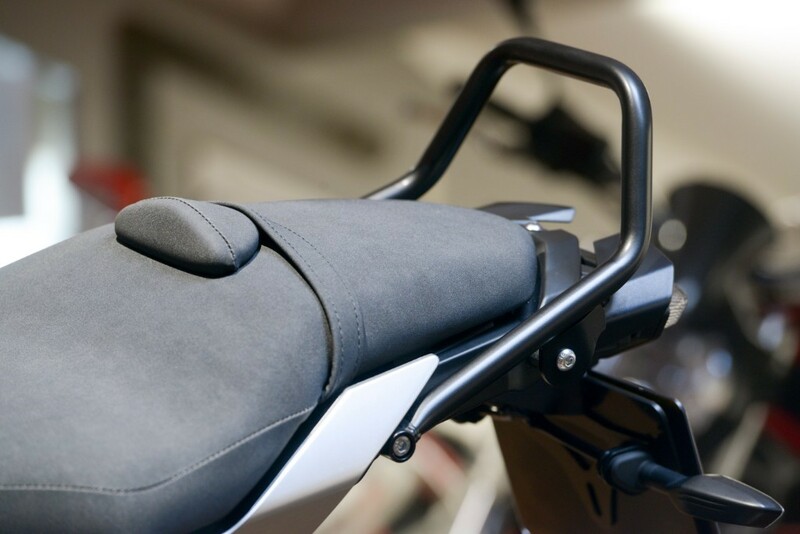 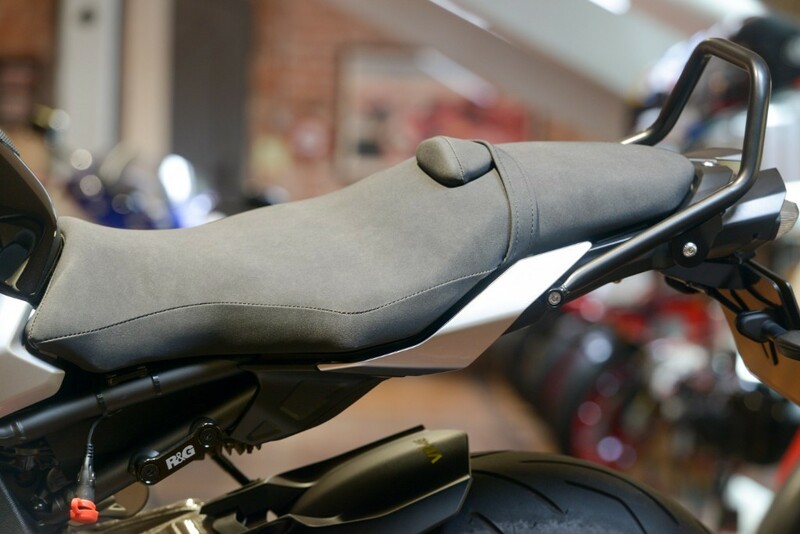 A small deposit will reserve the bike and we can arrange delivery both UK and worldwide.